GenderFun.com: Am I taking Hormones? 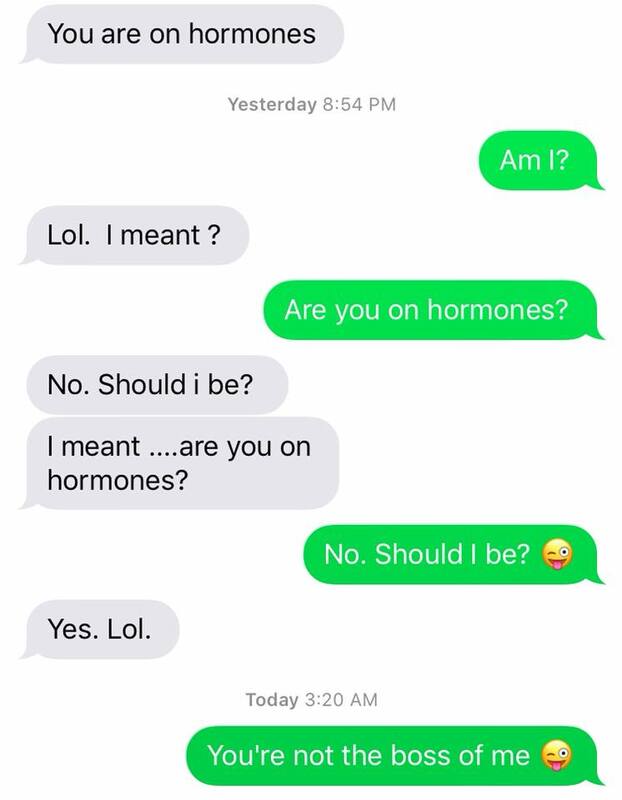 I find it fasinating how numerous people have asked me directly if I’m on hormones. 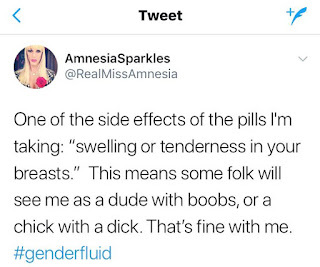 I mean, do folks walk around telling people about the medication they are currently taking? Is that like a thing? Maybe I’m not hip like they are. 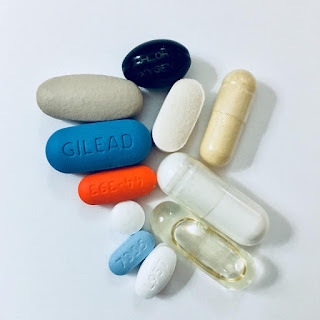 Here are the pills I'm currently taking each day. See if you can guess which ones they are. See that little blue pill in the pic? There is a reason I requested that pill from my doctor at Mount Sinai Center for Transgender Medicine and Surgery. 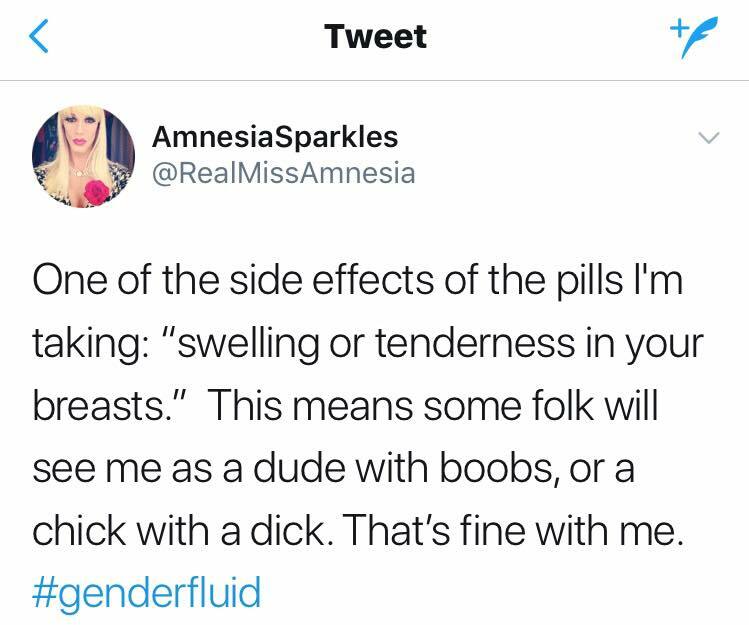 But every medication has it's side effects. For this reason I've purchase some sports bras. I’m really happy with this sports bra. 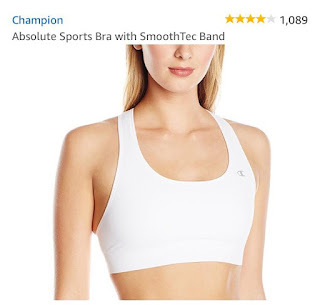 My chest is becoming softer and slowly growing so this sports bra helps keep them in place comfortably throughout the day. It also helps flatten them so the appearance doesn’t throw off people when I’m presenting in male form. And of course they work great when I've gone jogging. If you've been following me for years you know that back in 2012 I took numerous shirtless pics of myself and posted them on social media. And that year I wrote a blog entry about my feelings towards my body. 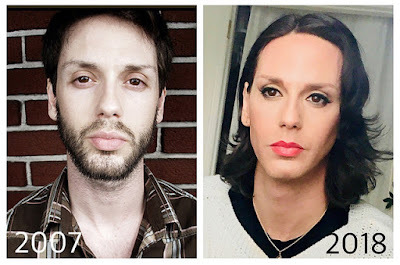 That body has been changing and morphing over the past year since I made my announcement about whether I may or may not be transitioning into a trans woman. Here I am over a year after making that announcement and I can happily say that one of the biggest changes I've experience is not a physical one but a mental one. I have slowly started to let go of this need to conform to masculine standards. I have stopped aspiring to appear more masculine than I really am. Traditional masculinity never felt or came natural to me. That's not to say I can't have my masculine moments, and if need be I can put it on if the circumstances demand it. I am not ruling out taking hormones, as a matter of fact I am considering them. Time will tell. For now I'm getting acquainted with my new and changing body. I am heading into and embracing the androgynous zone. As I do, a calmness is starting to build inside me. A quiet inner understanding that needs not answer to anyone's curiosity but my own. I'm gaining self acceptance each passing day whether folks like my current external appearance or not. That alone gives me a great sense of gratitude.